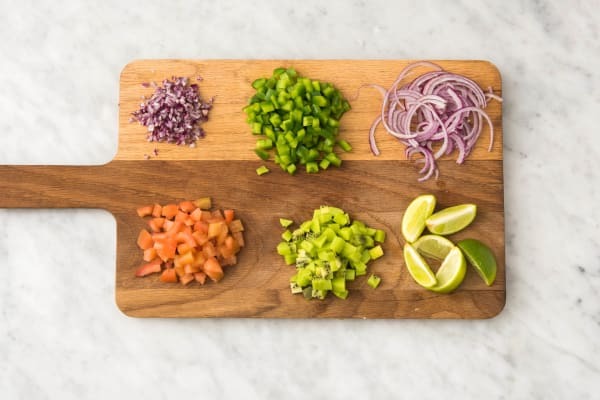 Shake up taco night with an unexpected topping: kiwi salsa! 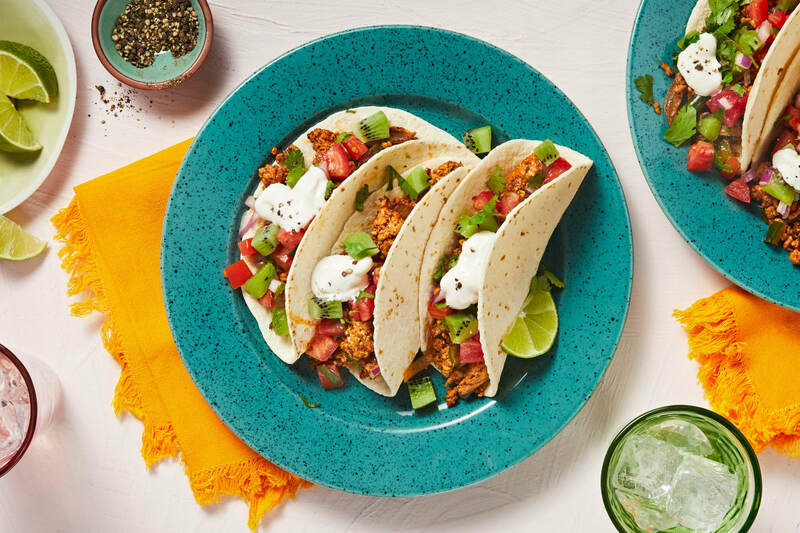 The fruit is a surprisingly good fit next to south-of-the-border flavors, bringing sweetness and tanginess that match the ground pork seasoned with our Mexican spice blend. 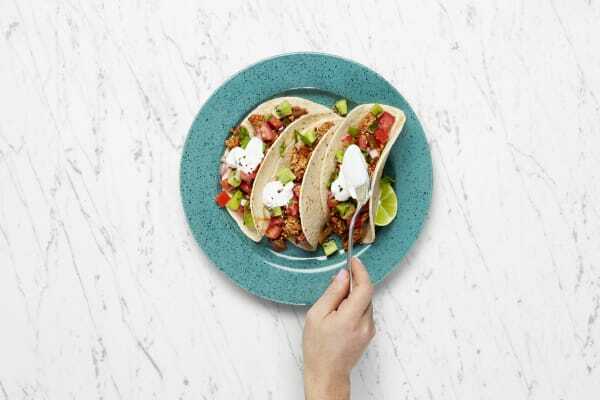 It’s balanced out by a cool lime crema and tender pieces of poblano pepper, coming together in a taste adventure unlike anything else you’ve ever experienced in a tortilla. Wash and dry all produce. Halve, peel, and thinly slice onion. Mince a few slices until you have 1 TBSP minced onion. Core, deseed, and finely chop poblano. Finely dice tomato. Peel, then finely dice kiwi. Roughly chop cilantro. Quarter lime. 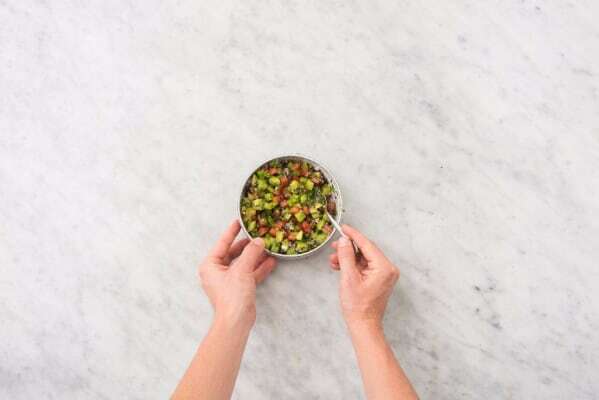 In a medium bowl, combine tomato, kiwi, minced onion, half the cilantro, and a squeeze of lime juice. Season with salt and pepper. In a separate small bowl, combine sour cream and a squeeze or two of lime juice. Season with salt and pepper. Heat a drizzle of oil in a large pan over medium-high heat. Add poblano, sliced onion, and half the Mexican Spice. Cook, stirring occasionally, until softened and lightly charred, 3-4 minutes. 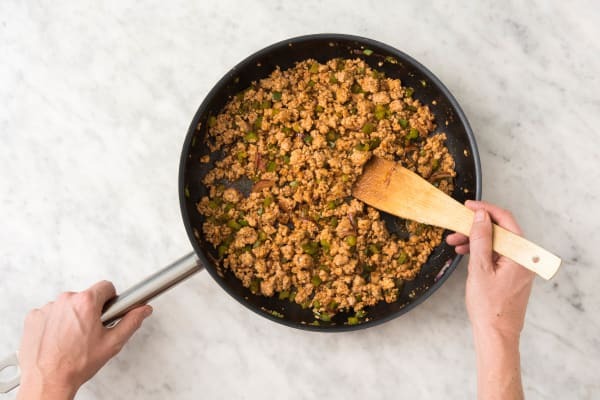 Add pork, another drizzle of oil, and remaining Mexican Spice to pan. 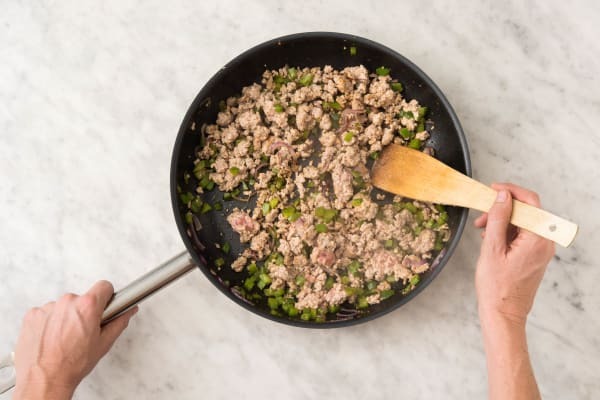 Cook, breaking up meat into pieces, until pork is browned and cooked through, 4-5 minutes. Season with salt and pepper. 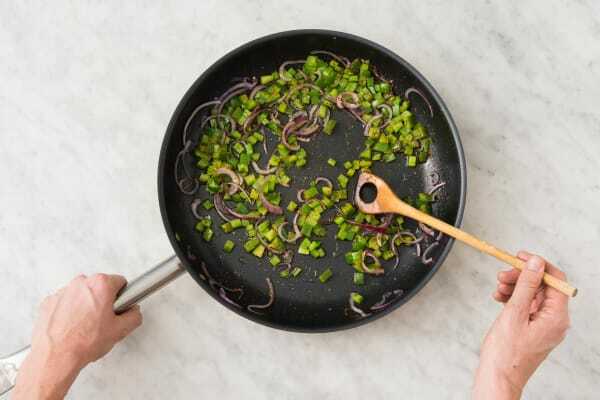 TIP: If there’s excess grease in your pan, carefully pour it out. Reduce heat under pan to medium low. Stir in stock concentrate, 2 TBSP water, and 1 TBSP tomato paste (we sent more). Cook, stirring, until everything is coated in a thick sauce, 1-2 minutes. Season with salt and pepper. Wrap tortillas in damp paper towels. Microwave on high until warmed through, about 30 seconds. Divide tortillas between plates and fill each with filling from pan. Top with salsa. Dollop with crema and sprinkle with remaining cilantro. Serve with any remaining lime wedges on the side.